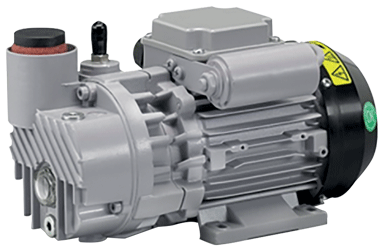 The lubricated rotary vane pumps EVISA are designed to be used in a wide range of industrial applications (metallurgy, environment, glass, packaging, food processing, composites…). They can run continuously from atmospheric pressure to ultimate vacuum with high water vapor pumping capacity thanks to many accessories. They are very silent and extremely robust. They are designed for light onsite maintenance. 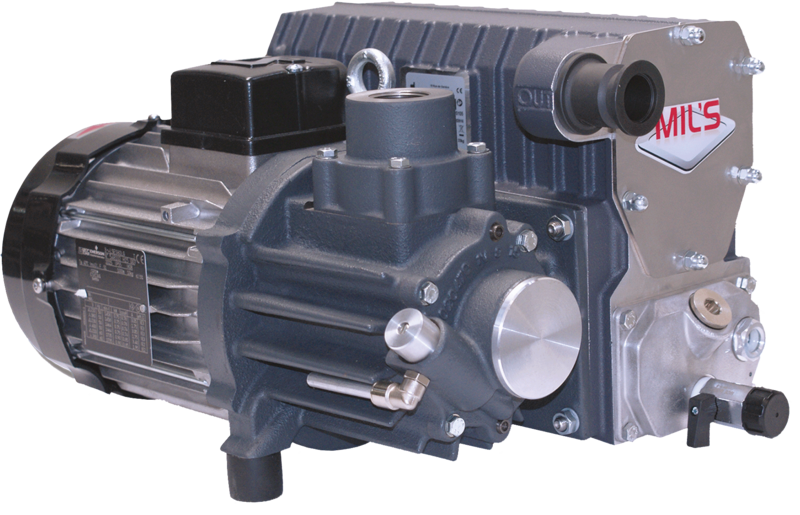 The lubricated rotary vane pumps EVISA can be available in ATEX and oxygen version (contact us). 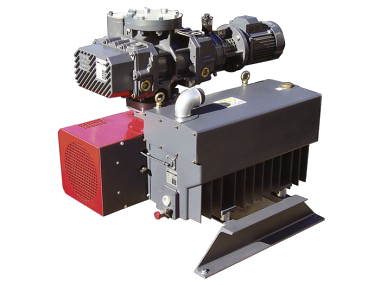 The lubricated rotary vane pumps ROTOMIL’S are single stage pumps with an end vacuum of 2 mbar and stable pumping speed. They are compact and the sound level is optimized for easy integration in machines with their standard built-in oil mist filter. 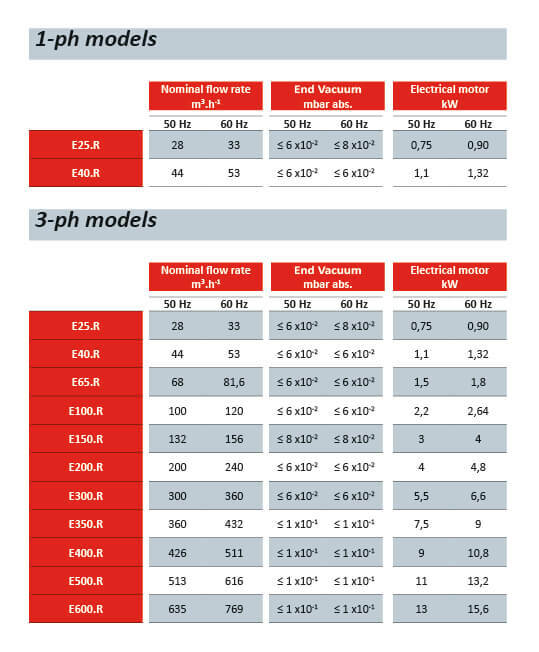 The ROOTS booster / EVISA lubricated vane vacuum pump couplings are combined vacuum pump and booster pumping units to increase the pumping speed as well as the final vacuum reached. 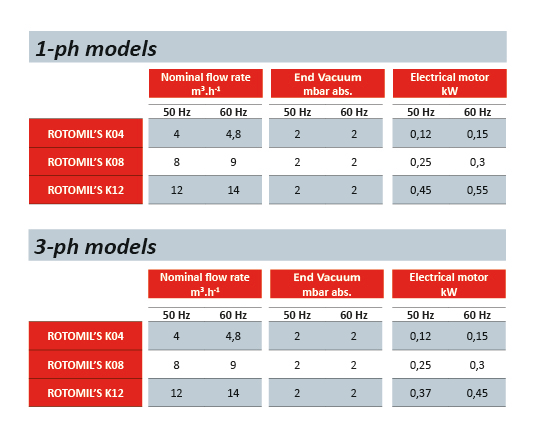 A wide range of accessories (control panel, bypass for high speeds) optimizes your installation.